The Achilles tendon is the strongest tendon in the body. It is vitally important for walking and for any sporting activities. 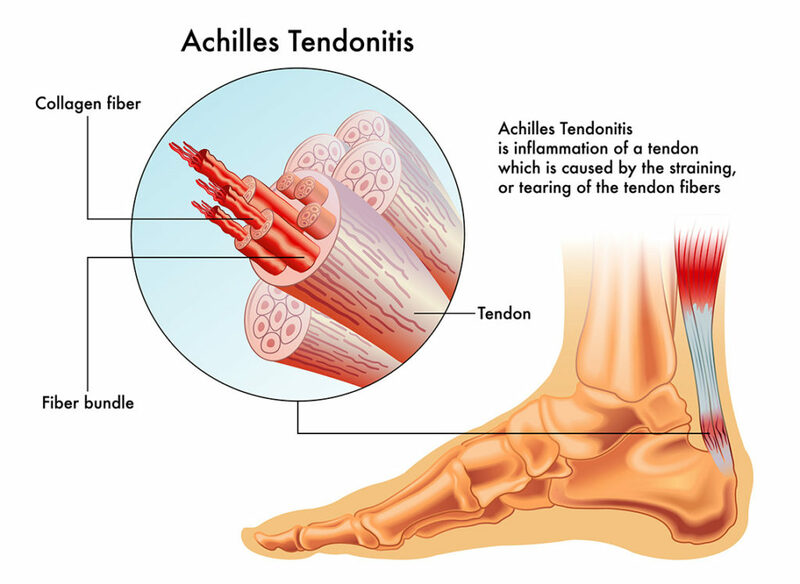 Achilles tendon problems are very common and range from tendinitis and tendinosis (inflammation and degeneration of the tendon itself) to ruptures of the tendon. 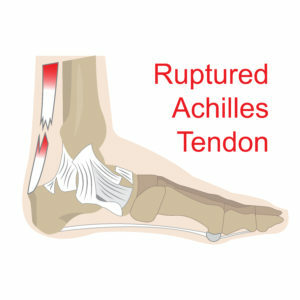 Achilles tendinitis is caused by microtears in the Achilles tendon. This leads to a painful swelling and tenderness in the back just above the heel. The treatment of this often involves resting the Achilles tendon in a boot or doing a guided physical therapy program. Extracorporeal Shockwave Therapy (ESWT) can also be a very effective non-surgical way to allow the area to heal. Often, patients have a Haglund’s deformity which is a large bony bump at the base of the tendon as well. These patients most commonly require surgical removal of the bump and cleanup and repair of the frayed and degenerated Achilles tendon.